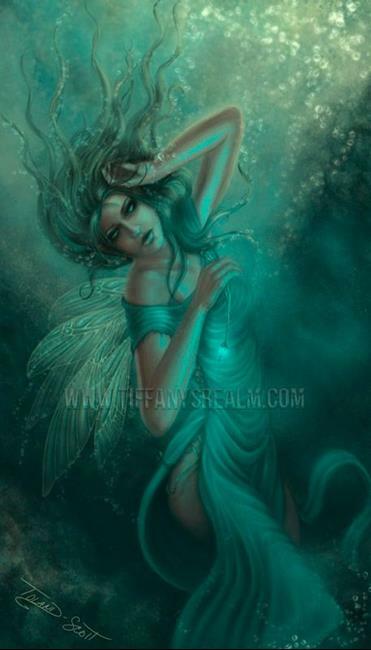 Undine or Ondine is a water elemental that appears in alchemy and mythology. She's another water-dwelling creature that is sometimes described as having a tail and wings or just wings. I gave her a mysterious glowing bottle as a symbol of her ties to alchemy. Painted in Photoshop CS5.